During the NASA UAS Traffic Management Convention last week, New York Gov. Andrew Cuomo said the state would invest $30 million in a 50-mile-long flight traffic management system. The technology for a viable UTM system is not far off. Near Earth will work on technologies capable of helping a UAV deal with wind disturbances, loss of power or engine and sensor failures. The goal is to create an Autonomous Contingency System that can discover and adapt to unpredictable environments. Northrop Grumman Corp.'s Global Hawk unmanned high altitude long endurance system will mark the 15th anniversary of supporting United States Air Force (USAF) combat operations and other critical needs in the U.S. like weather monitoring. AeroVironment Inc., a manufacturer and developer of unmanned aircraft systems for both military and commercial applications, has launched its new integrated commercial information solution featuring vertical take off and landing capabilities. 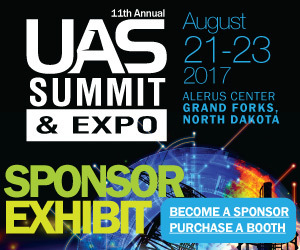 How did Local Motors get a major aviation manufacturer to truly think out of the box on UAS design? They challenged a 60,000-strong community to come up with an idea and co-create a drone far better than it had imagined. The Arizona UAS Summit & Expo opened Monday near Scottsdale with a panel discussion on the role the state's military facilities play in developing the commercial UAS industry. The facilities generate billions of dollars in economic impact. Textron Systems Unmanned Systems announced that it will now offer the TK-7 Firewatch precision survey sensor on the Aerosonde small unmanned aircraft system after its recent successful demonstration.